For the last few weeks, director James Mangold has been using his Twitter feed to drum up excitement for his upcoming X-Men movie Logan, posting close-ups of its stars in their various states of disrepair. Inevitably—given that the movie apparently takes place in a distant future, where mutants are hunted by government-assigned assassins—Patrick Stewart’s Professor X and Stephen Merchant’s new character Caliban are both looking a little the worse for wear in 2024. 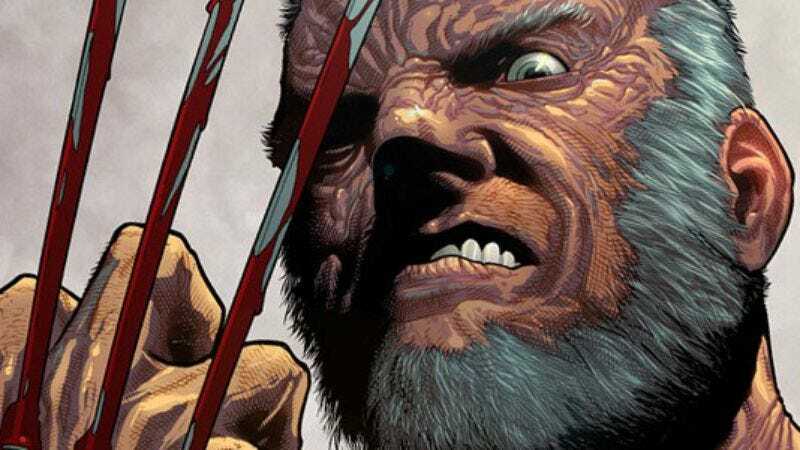 Now, Mangold has posted a picture of the man himself, Hugh Jackman’s Wolverine, revealing that he’s also putting the “Old Man” in Old Man Logan. Jackman, who’s 48, has said that this will be his final spin as the claw-sporting Canuck, and that weariness is evident on the character’s face. Meanwhile, fans of the franchise angered by these still photos and their lack of exciting, metal-slashing action are also in luck: Jackman posted a short video clip on his own Twitter today, promising that the first trailer for the film will be out tomorrow.